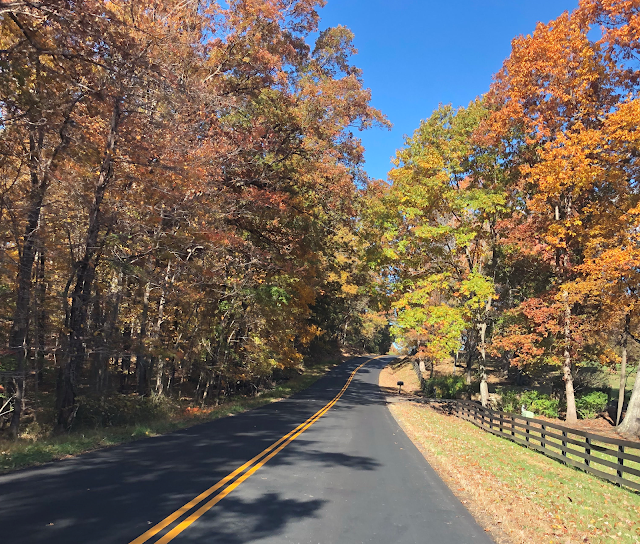 Our stay in Georgetown, SC was brief and we used it all to maneuver cars, including spending Thanksgiving on the road! Let us call our current destination Point A. Let our following destination be Point B. First, we drive both cars to point B. After that we all hop in one car and return to Point A. Then, we sail the boat to point B. After that we take the car at point B and drive back to point A. Then we drive both cars to point B. Finally we repeat this for our next marina and then wait for a weather window to sail. 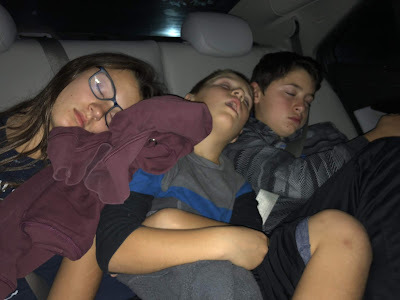 It is exhausting for everyone, but now that we are in Florida, we only have one or two more trips to make, since our stays at the same place are longer. Our stay in Georgetown, SC was mostly moving cars and rushing out to sea again, for another overnight sailing trip to Savannah, Georgia. Once we see a good weather window and no flying for Joe, we must take the opportunity, because such favorable alignment of circumstances may not present itself for a while. Our overnight sailing to Savannah was similar to the first one. It was a bit shorter and we did not catch any fish, but we did see a large shark come to check out our boat and swim right under! That was exciting! We all know they are there, but I prefer to think there are only playful dolphins around us. We ended up staying at Savannah for a bit over two weeks. A few small shops in town were selling shirts saying "Savannah is my happy place", and I can quickly believe it (for a time). It is the first place I have seen in the US, that truly reminds me of Europe, but with the spirit of pecan pie, fudge and a Prohibition museum. Samples of honey!!! As beekeepers (we had to leave our bees behind, but they are in great hands), we appreciate anything bees and honey related, and raw unfiltered honey is perfectly legal to sell in GA.
We did not buy anything with that kind of sugar, but it was a cool photo! Savannah was not destroyed during the Civil War, so many of the buildings are unique in both character and historic value. I was particularly glad to see many restoration projects in progress; it is money well spent, and treasure well appreciated (I wish that were the case in Bulgaria!). Beautiful streets and old houses. We found a very nice Greek Orthodox Church (20min away from the marina! ), for one of the Sunday’s, and a very nice Roman Catholic Church for the other Sunday. Sophie and I loved all the small boutique shops for candy and chocolate. The boys ended up with scooters, and Joe had to walk back and forth with us, because "Ah, it’s so nice here, I love it, what are we going to do at the boat, there are people walking on the streets, we have to walk too, look at the cute little shops, ah, it’s so nice here...," you get the idea. We decided to walk from our marina to the grocery store, about a mile away, and down a beautiful path lined with majestic trees and long tresses of moss. We never saw other people walk, but someone who once made the path, thought people might use it, so why not! Spanish moss on Joey's head. Spanish moss on Bobby's head. 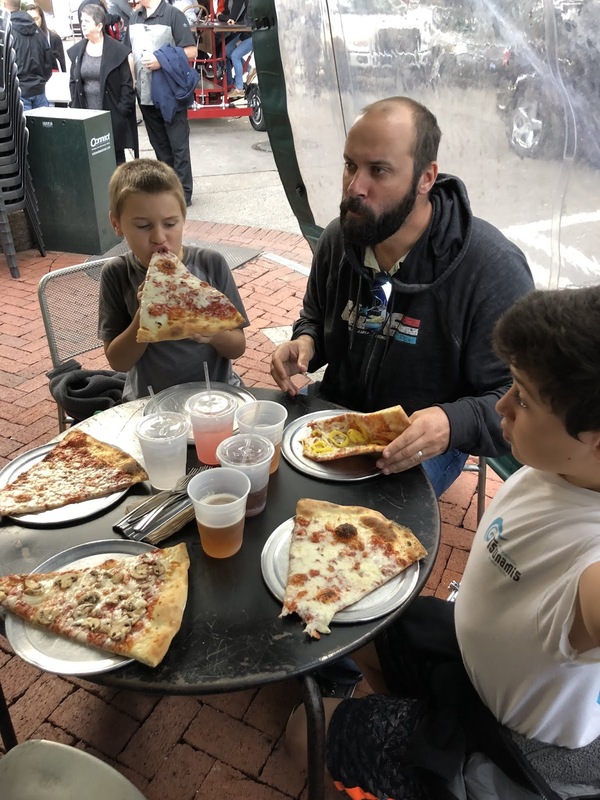 While in Savannah, Joe needed to travel for work to Richmond, so the decision was quickly made to survive yet another long car trip and visit family and friends back home, for a couple of days. Everyone had a chance to see as many friends as possible, and then we headed back to Savannah. Hanging out with friends in VA.
Once we returned to Savannah, Joe’s work picked up and he did some more traveling, so the kids and I had a chance to catch up on school, which is not easy while traveling, especially by sea! Our car broke while crossing a bridge, and we had to change credit cards, due to some strange expenses on our statement. The annoying troubles of any land-based life are hard to sail away from! In the meantime, we met a few very nice families, who called the marina their permanent home, and the kids quickly got to know all of the neighbors and their pets. Shortly before we left Savannah, a Canadian family stopped at our marina, with a 10 year-old boy. Our boat quickly became the kids boat for LEGO trading and movies, while the other boat turned into a hang out spot for the adults. That family left before us, via the ICW, but our next overnight hop into the ocean helped us catch up with them at St. Augustine, Florida! Kids heading to the kid boat (ours, in this case). Our current location is Miami, FL. Check back soon to find out how our travels continued through Florida. How exciting! I can't say I followed the complex car sequence part, but it is great you made it to Savannah and Georgetown. Your trip is starting to sound exotic! It also sounds like it is working in that everybody looks totally engaged in the adventure. :) Would love to hear about the breed of humans who call the marina their permanent home. Loved the pizza photo. Dear Anna, thank you for your comment! There are quite a few families, and many more retired couples, who have decided to sell their house and move on a boat. Some live at the same marina full time, others change marinas with the seasons. We have found them all to be very open and kind, and always ready to help if needed. As for our adjusting to boat life, it still has many challenges, and I have to admit I have declared it “over” many a time. Everything is different - from traveling to flushing the toilet, and everything requires thought and effort beyond what we are used to. I have given up trying to guide and plan, and control. The best and safest thing we can do is be aware, all the time!